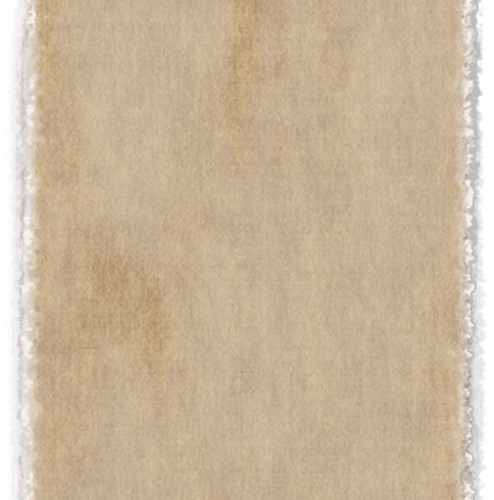 Caskets are required for ground burial or Mausoleum Crypt Entombment. 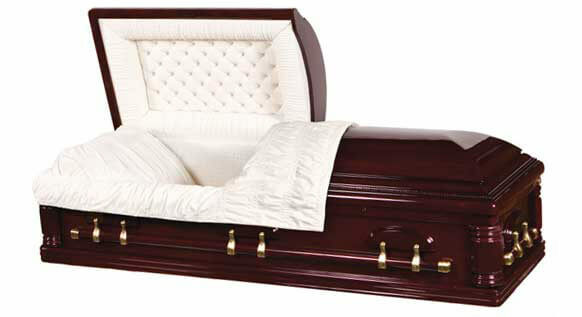 We carry a wide selection of caskets available such as wooden casket, metal caskets and stainless steel caskets. 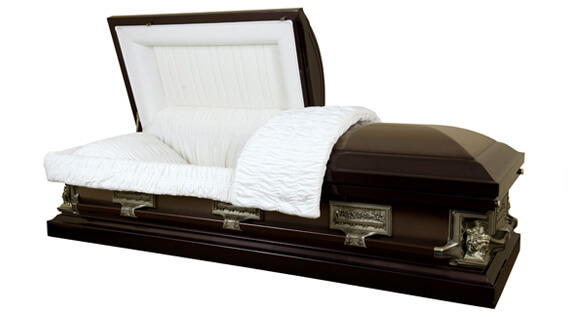 Steel caskets are manufactured from the high quality 18 gauge steel to the more economical 20 guage steel, and are designed to temporarily resist the entrance of outside elements. They are available in a variety of price ranges and color choice and provide for the largest selection in high quality metal caskets. Using the same craftsmanship are skilled cabinetmakers, our solid wood, veneer wood and cremation caskets are manufactured using the highest quality species of mahogany, walnut, cherry, maple, oak, poplar and pine. 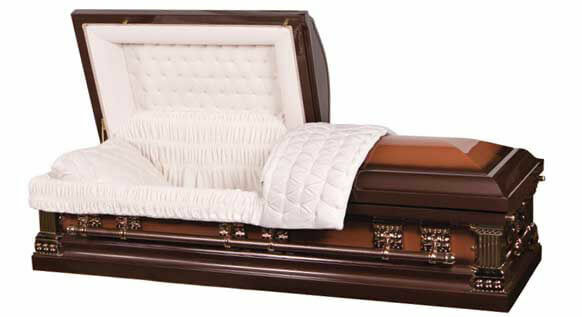 These caskets are the selected by those families who appreciate the qualities of fine hardwoods.